Version 16.5 of Parallels® Remote Application Server (RAS) streamlines deployment, improves solution resilience and automation, and enhances customization capabilities. 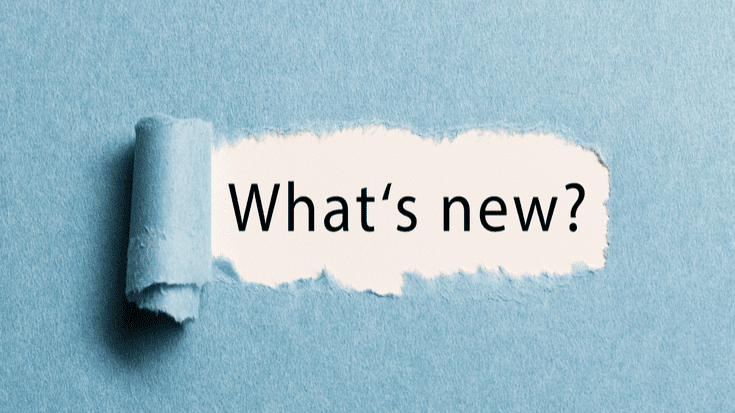 It continues to offer the best value among application and desktop delivery solutions, with new granular client connection policies, Azure MFA support, Microsoft App-V publishing, significant Parallels RAS Console improvements (such as updated Site View and undo changes), a refreshed HTML5 Client, and a Citrix XenApp 6.5 migration tool. VDI Agent has been enhanced and is now incorporated into Publishing Agent. It eliminates extra components and allows multiple VDI-host management by the single Publishing Agent. A new type of RAS templates for RDS hosts provides single image management for RDS hosts. Use full clones if your applications and OS update cadence is slow. Guest-VM deployment is longer, but full clones provide the best performance. Linked clones are extremely useful when application and OS updates happen frequently—they provide the fastest Guest-VM deployment but do impact performance. With version 16.5, an RDS host can only be a member of one group at a time. RDS groups get the option to assign a RAS template and add group members created by the RAS template on-demand. One RDS template can be used by several groups. RDS hosts auto-scaling is organized by on-demand group provisioning and de-provisioning based on workload. See the image below; as soon as all RDS hosts in the group reach 75% of the workload, the group will request two more servers from the assigned RAS template until the maximum number is achieved. If the workload of the group drops below 20%, then the least-loaded host is drained. All users gracefully logged off the server leave the group. The unassigned host either returns to “Keep available buffer” (if it is exhausted) or is deleted by the template (undeployed) if the buffer is full. Prior to version 16.5, configuration changes and session management in the Parallels RAS Console are not available when the Master Publishing Agent (PA) is unavailable. To reduce management downtime, the PA auto-promotion feature has been introduced. When the feature is enabled, the next PA in the Publishing Agent list is auto-promoted in the case of a Master Publishing Agent failure. The feature is site-specific and off by default. To be enabled, it requires at least three active PAs in a site. The license activation request is delayed for 72 hours in order to support the PA auto-promotion. If the original Master is back online and failback happens, the license activation request is dropped. In addition, the new timeout for Licensing site unavailability is added. This allows other sites to use the max number of concurrent connections from the license for up to 72 hours without PA promotion and followed license activation. Notifications have been enhanced. Not only are there new notification types, but there’s also support for monitoring in two directions: “Rises above” and “Decreases below.” You can also now allow a script to execute if certain events occur. New granular policies offer IT admins more flexibility in configuring clients by splitting four categories into more than 20. The connection policies can be disabled individually per category. For example, the administrator can disable Clipboard redirection only, leaving the rest of the “Local devices and resources” settings available for end users to control. In addition, new settings have been added, like an ability to filter by client-device OS. Version 16.5 adds the ability to enumerate Microsoft App-V packages delivered by the App-V infrastructure or SCCM during application publishing. The site dashboard has been extended to show additional performance metrics. It now provides a bird’s-eye view of the statuses of all the Parallels RAS components. Easily identify components that require admins’ attention. The updated Console also allows admins to undo previously made changes. Version 16.5 enables administrators to set the proxy settings directly from the Parallels RAS Console. You can now log in to the Parallels RAS Console by using your domain credentials using SSO. You can select either to input credentials or use the SSO module on the login prompt. You can now automatically log out an administrator once a timeout has been reached. Under Administration -> Settings, select the log-on timeout: 15 minutes, 30 minutes, 1 hour, 3 hours, 6 hours, 12 hours, and 24 hours. Version 16.5 introduces the ability to rebrand the Windows Client. Only Client binaries can be rebranded. Can have the same branding as the HTML5 Client. Citrix XenApp 6.5 reached its end of life on June 30, 2018. To help Citrix users migrate to Parallels RAS, version 16.5 provides a migration tool. In the first tool release, migration is done via one step. If there are several zones, then the single Parallels RAS site is used automatically. The next release plans to have a choice of what to migrate and where to locate it. View the migration tool on GitHub. Parallels RAS provides users with a powerful application and desktop delivery solution, ready to support the steady growth that the virtual workspace sector is expected to experience over the coming years. If you would like to try it for yourself, download a free 30-day trial. In order to explain the advantages of this latest version, we have also prepared a few short videos on the new enhancements and features in version 16.5. Would you like to learn more about new Parallels RAS features and how to set them up? View our Knowledge Base articles. What Is the Difference between Citrix and VDI?